Frankenstein – the world’s most famous literary monster – is 200 years old this year. 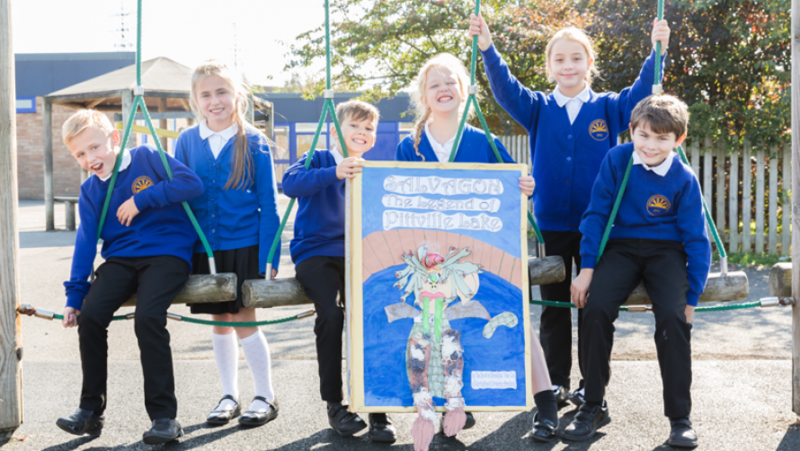 In celebration of the anniversary, ten Gloucestershire primary schools have taken up the challenge from The Times and Sunday Times Cheltenham Literature Festival to write their own monster stories and design giant book covers to illustrate their work. These covers will form a trail around Cheltenham throughout the Festival. The Festival has worked with Cheltenham BID to create a Monster Story Trail in family-friendly businesses as part of its …around town programme. The venues include book shops, entertainment venues and vintage cafes in the High Street, The Brewery Quarter, Regent Arcade, Regent Street, Bennington Street and Clarence Street. During the 10 day Festival, visitors can follow the Monster Story Trail and collect clues to reveal the name of the Cheltenham Festivals’ monster. Free trail maps can be picked up from any of the participating venues or the Beano Challenge Trail tent in the Literature Festival tented village in Montpellier Gardens. Ten terrifying tales including The Blob, The Inside-Outside Monster and the Legend of Pittville Lake can be read on the Cheltenham Festivals website here. With loads of family and schools activities taking place over the course of the Festival, there’s plenty to choose from!